I just came to know that YouTube video player has got a secret snake game embedded within. I found this through a comment posted in YouTube. Press the up arrow while keeping left arrow pressed. You will see the snake game, control the snake using the arrow keys. Apparently this works with all YouTube videos. 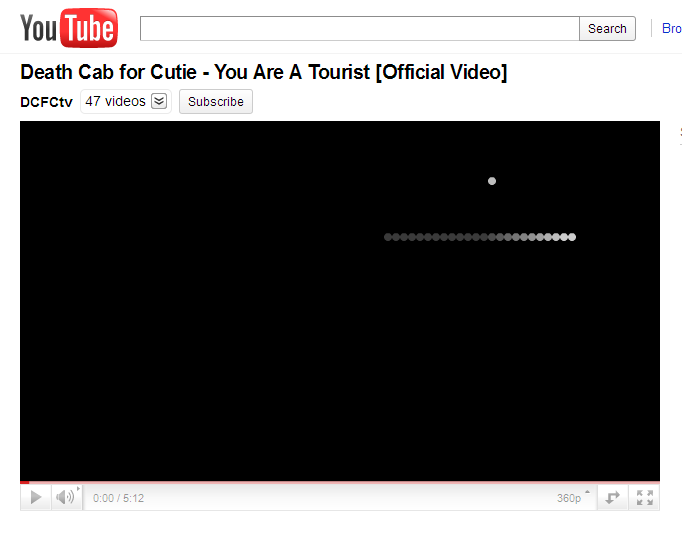 You can try this with following video song by Death Cab for Cutie. Its my current favorite video song.